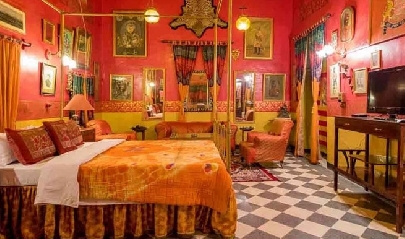 Located next to the Junagarh Fort in the city of Bikaner, Hotel Bhairon Vilas is a heritage property offering patrons a chance to experience the regal life of noblemen from the bygone era. 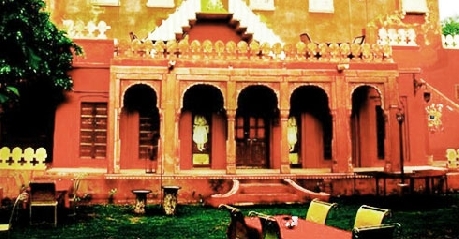 The original structure of the haveli was residence of Maharaja Bhairon Singh and therefore has royal charm and aura that gives it a unique identity. The hotel offers scenic view of Bikaner city all around, and therefore has been loved by both foreign and local guests who visit it. 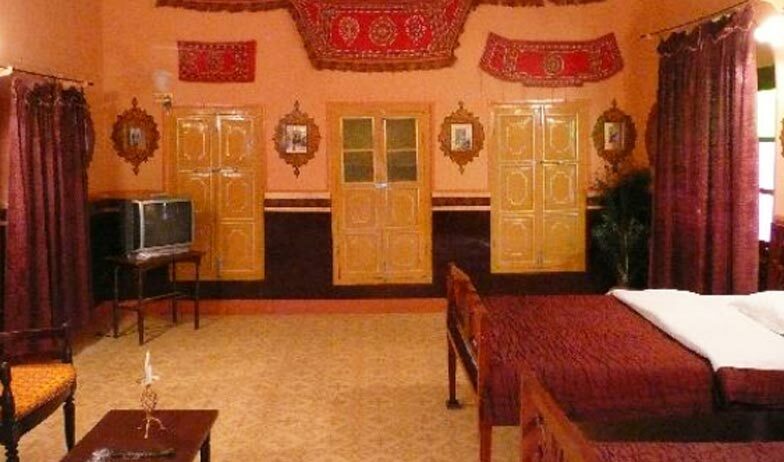 Patrons are offered options of standard, deluxe and heritage rooms as accommodation option. All the rooms have royal ambience along with modern day comforts that make them ideal for tourists and business travelers alike. Bhairon Vilas has also taken the rich culinary tradition of this great city ahead with the roof top restaurant, which serves authentic local cuisine along with popular global dishes. To ensure comfortable stay for guests, the hotel has offers facilities and services like same day laundry service, doctor on call facility, safety deposit lockers, telephone, fax, car rental and taxi services, parking facility, foreign exchange counter and travel desk. 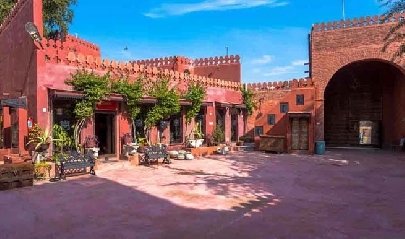 Patrons can also make special request for entertainment programs such as folk dance performances, Rajasthani music performance, puppet shows or recreational activities such as jeep and camel safaris, which the hotel will happily fulfill. 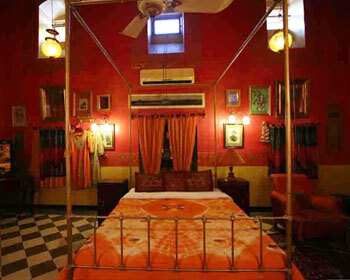 Standard Rooms are the basic accommodation option available at the Bhairon Vilas hotel, Bikaner. The rooms exhibit regal architecture and décor in line with the heritage building they are part of. The rich décor includes antique furniture, carved jharokhas (windows) and wall paintings, all of which instills the room with royal charm. The rooms are fitted with basic modern day facilities such as telephone, round the clock room service, private bathroom with toiletries, 24 hour hot and cold running water and many more. Imperial architectural, rich décor and host of amenities, these are the three stand out points of the Deluxe rooms available at the Bhairon Vilas heritage hotel. These rooms are designed in a way that they retain their royal charm while providing the modern day comforts and amenities. Be it antique furnishing, glided leafwork, opulent interiors or the carved jharokhas (windows), the Deluxe rooms are sure to impress any guest. On amenities front the rooms have air conditioning, round the clock room service, telephone, private bathroom with toiletries, 24 hour hot and cold running water and many others. Experience the royal life that the noblemen from Bikaner lived in the by gone era, by choosing to stay at the Heritage rooms offered the Bhairon Vilas Hotel. As the name suggests, these rooms have royal architecture and rich décor that compliments the heritage structure of the rooms. 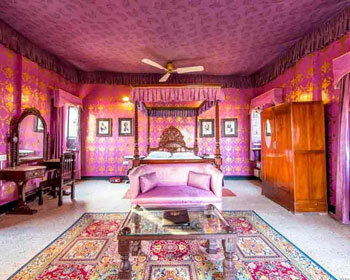 The rooms are furnished with antique furniture, glided leafwork, carved jharokhas (windows) and many other embellishments that enhance the royal feel and appeal of the rooms. Equipped with modern day facilities such as air conditioning, telephones, round the clock hot and cold running water, private bathroom, 24 hour room service and others; the Heritage rooms are sure to cater to any request from clients. 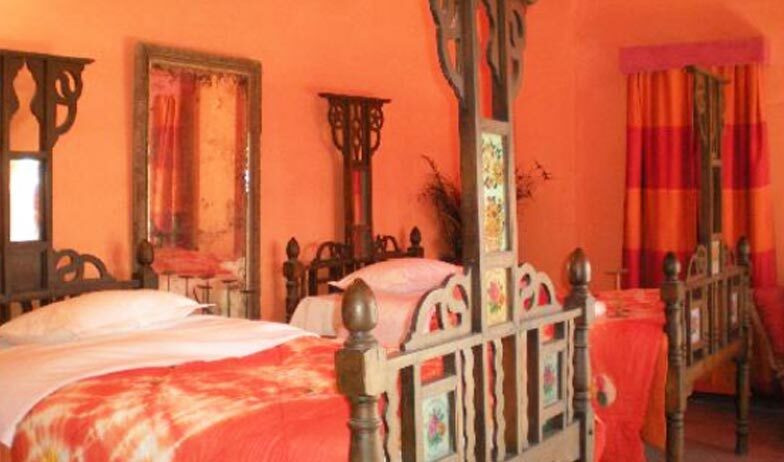 The rooms have earned rave reviews from patrons because of the unique architecture and décor. 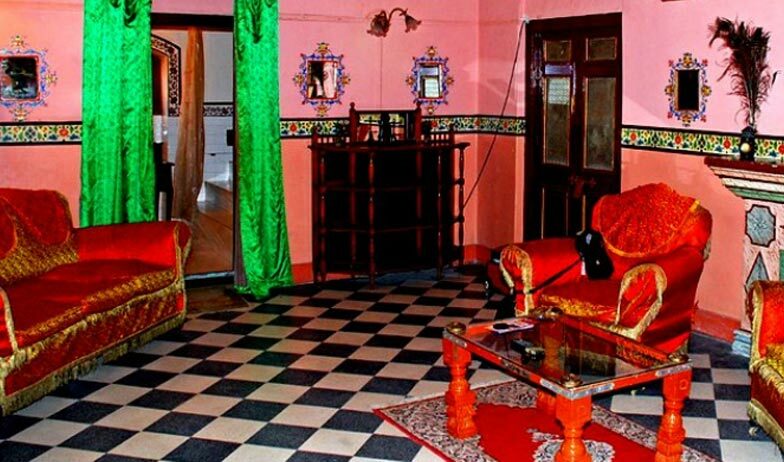 Bhairon Vilas Hotel has 18 beautiful, spacious and well-appointed rooms. Each room is equipped with necessary amenities. 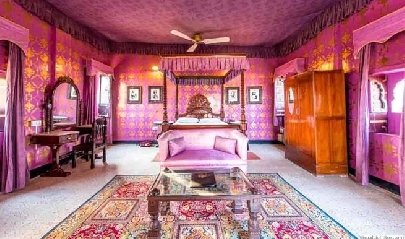 The rooms are uniquely designed, which portrays the legendary history of Rajput. The curved windows of the rooms remind you of the olden days. The leaf works at the rooms also look very beautiful. If Rajasthani food is what excites you, then The Rajput, is the place you have been looking for. The Rajput is the in house restaurant located within the premises of heritage hotel Bhairon Vilas, Bikaner. 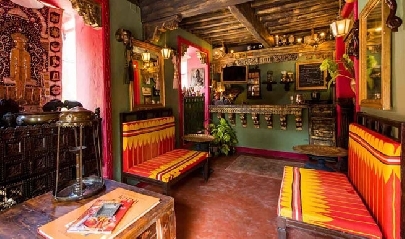 The eatery is very popular among local and foreigners because of the regal architecture, lavish décor and authentic Rajasthani cuisine. 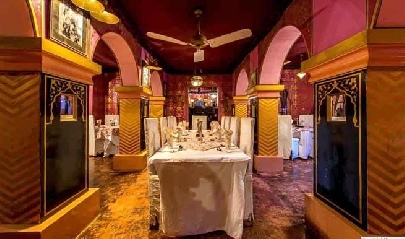 The restaurant serves ethnic food from the city of Bikaner, which is prepared as per traditional recipe and therefore has unique flavor and aroma. In addition to this to cater to diverse clientele, the restaurant serves popular dishes from other cuisines such as mainstream Indian, Continental and Chinese. 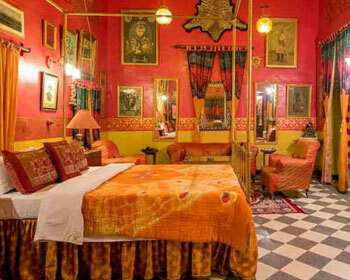 The rich décor and delicious food has helped the Rajput earn rave reviews from several guests.